Histolab system has been developed in order to take several kinds of measurements on various types of histological tissue: counting, cell membrane monitoring, density, automatic measurement of tissue surface associated with a coloring, absorption and emission measurement…. numerous interactive and powerful measurement tools. We have taken particular care with regards to simplicity and ease of use and we wanted the documents produced to be usable straight away: laser printout of the images and the results, storage in files that can be manipulated with other applications, statistics on all of the analyzed structures. 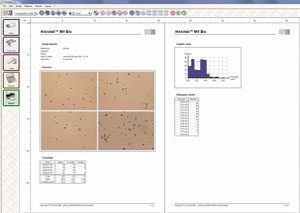 For more info, Download Biosciences Solutions documentation or contact us. Saisam system allows aided morphometric analysis: simultaneous measurement of several classes of objects. Saisam was designed for the dual purpose of measuring and documenting your images. Saisam provides rich image processing functionalities and numerous interactive and powerful measurement tools: position, length, width, aspect ratio, Feret diameter, orientation, radius, equivalent diameter, perimeter, surface, and form factor. 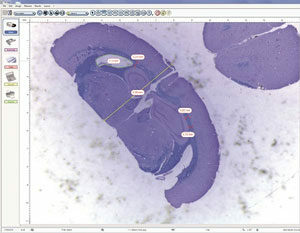 Image analysis is live performed as well as offline. 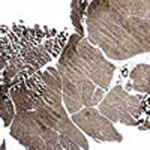 In this case the user loads images from optical microscopy, or Scanning Electron Microscopy.